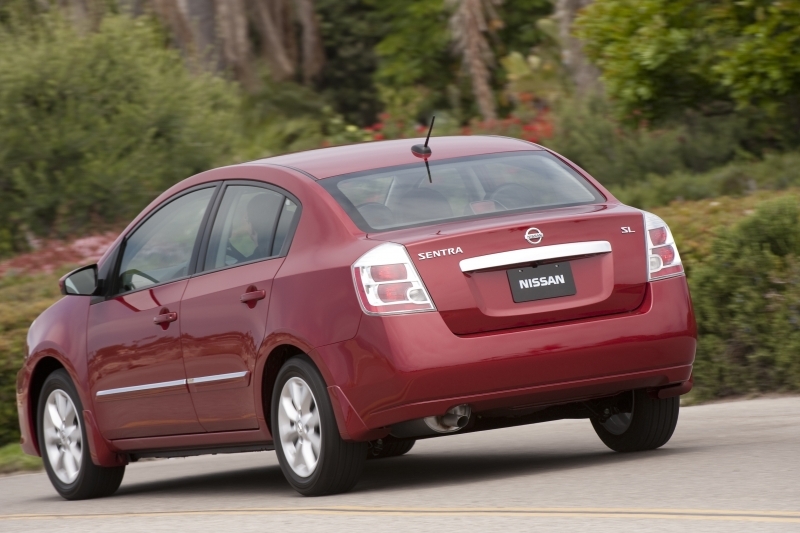 The Nissan Sentra has evolved quite a bit since the utilitarian commuter car days of yesteryear. 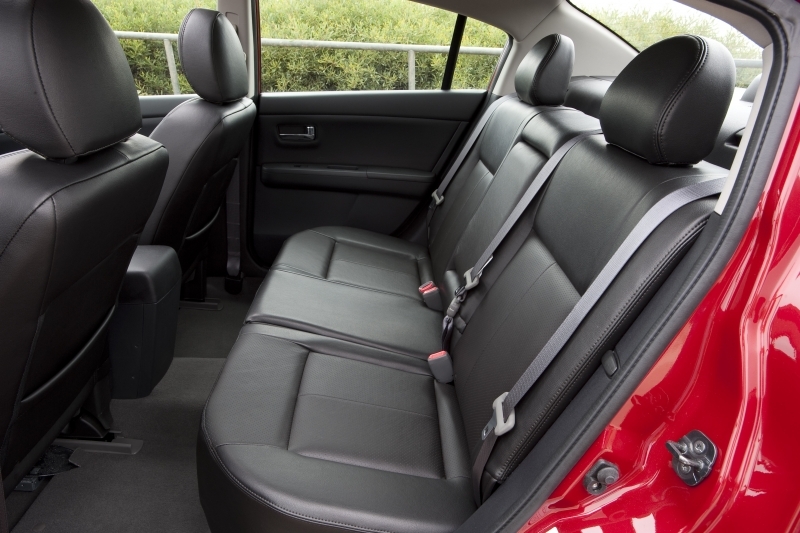 Previously looked at as a fuel-conscious vehicle for everyday freeway duties, the interior has gotten some major upgrades of late since the small car market has grown as the economy has contracted. 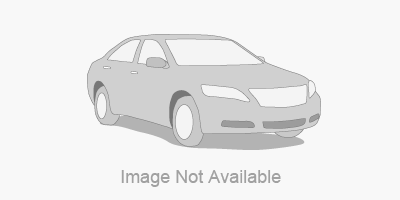 Outside, it retains the modified styling from the 2010 refresh, with a revised fascia and headlights, and still possesses the same overall angular style that has become the Sentra’s profile. Packaging and options were simplified in 2010 to make the buying process easier, and pricing remains competitive. 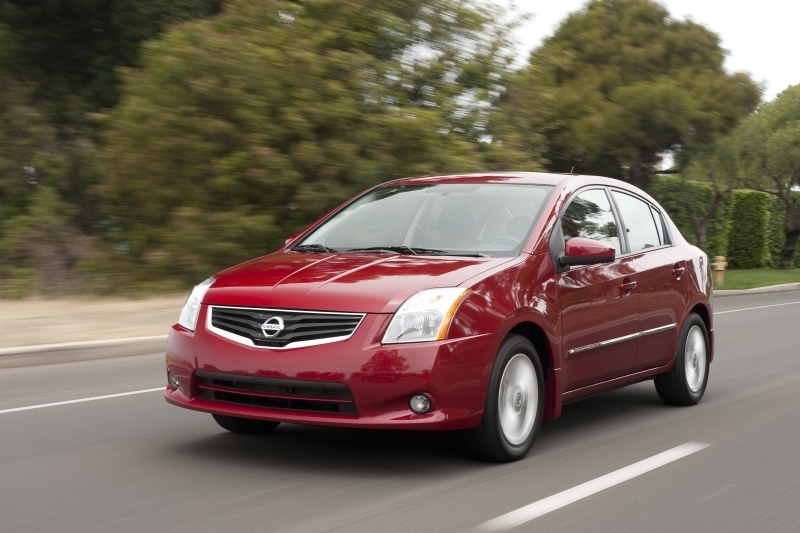 For 2011, the Sentra is loaded with more standard safety systems like ABS and traction control. And we still love the navigation system. It’s no $2,000 system like you might expect, despite including most of the features consumers are used to in a fully-fledged system; it’s actually just $650. We like that Nissan is upping the ante for small cars by including affordable technology in the options list. Like we said, the Sentra is moving up. Nissan’s 4.3-inch color audio display is a nice modern touch, and the optional $650 in-dash navigation system is a game changer if ever we’ve seen one. We like that Nissan has folded some of their options packages into standard trim level equipment to help simplify the buying process. It also has a quiet and comfortable ride. The Sentra isn’t, er, the prettiest compact car out there, and its angular styling may prove too polarizing for some to adapt. While continuously variable transmissions may be good for fuel economy, they still don’t quite do the job when it comes to drivability. Give a four-cylinder engine a foot-full of throttle and see how long you can stand the drone of the engine above 6,000 rpm. It won’t be long. The Sentra is an adept around-town tourer, feeling almost European in its ride quality, never feeling loose and squishy over bumps and imperfections in the road, but at the same time never feeling too harshly sprung. It’s also near silent in the cabin at highway speeds. Nissan lineage is clear in the direct steering and the continuously variable transmission is pretty lag-free, another trait seen across the current Nissan lineup. Despite its low displacement and lack of a turbocharger, the engine has more than enough power to motivate the Sentra down the road, although when held at full throttle for extended periods it does sounds like it’s struggling to breathe. Still, we don’t know too many CVT users who leave the engine at redline for minutes on end, and the artificial gear ratios are convincingly accurate should you prefer manual gear selection. The Nissan Sentra is powered by a 2.0-liter DOHC inline four-cylinder engine, which produces 140 horsepower and 147 lb-ft of torque. The more commonly fitted transmission is Nissan’s Xtronic CVT, which never shifts, but does offer a manual mode that replicates conventional gear ratios with surprising accuracy. 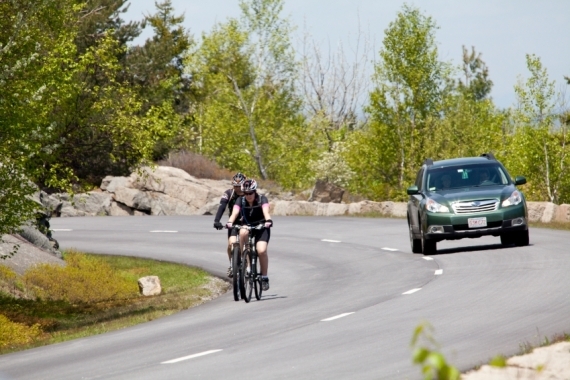 The base model also comes standard with a six-speed manual transmission. Just because the Sentra has moved up-market doesn’t mean it has ditched its economy car credentials. Thanks to the combined efficiency of the 2.0-liter engine and CVT transmission, the Sentra returns 27 mpg in city driving and 34 mpg on the highway in its most efficient trim. Stick with the CVT if fuel economy is a priority, mileage drops to 24/31 with the manual. We can’t say enough about Nissan’s new navigation system in the Sentra, although even if you aren’t willing to shell out the $650, it’s nice to know you’ll still get a 4.3-inch color screen for audio system management on the upper trims. The five-inch Bosch-supplied in-dash navigation unit is a fantastic value, however, and should not be overlooked. 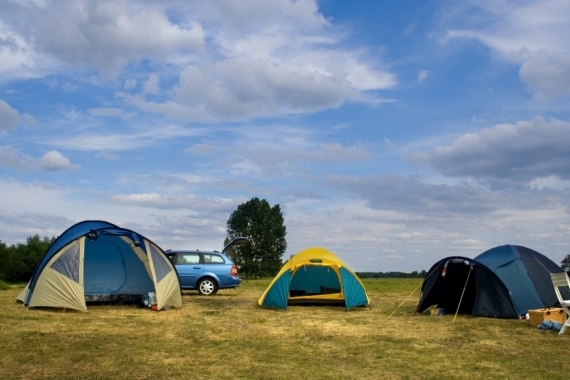 The base model doesn’t offer a lot in the way of amenities, but a host of safety systems comes standard. A few welcome options (that may come standard on some trims) are remote keyless and Nissan’s convenient Intelligent Key, which lets you start the car while the key is still in your pocket. 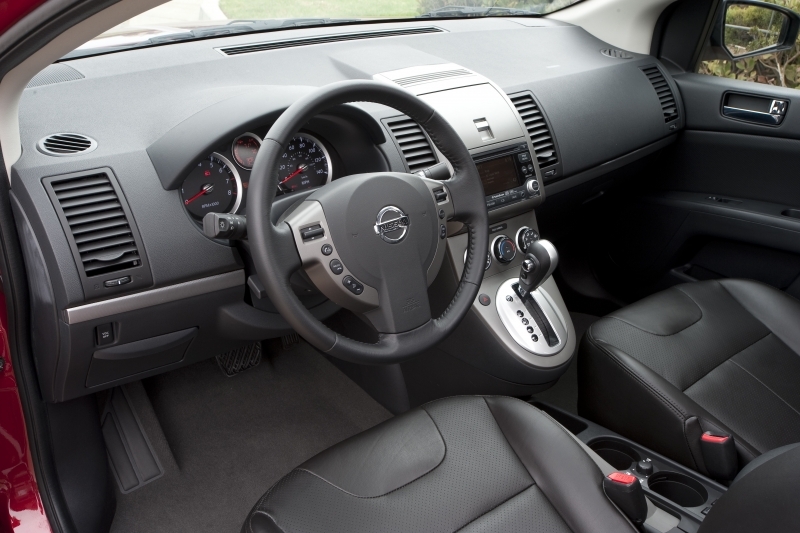 Nissan has created an attractive and intuitive, if simple, interior that fits the Sentra well. All controls seem to be placed for ease of driver use, which is something we really like. Leather is optional, but adds greatly to the Sentra’s interior ambiance, and the color screen for the stereo looks fantastic. The Sentra’s angular exterior is most apparent from a front-on view, but we like a side-on silhouette, where the car appears less wedge-shaped. Formerly only available on the SE-R model, a rear spoiler is now included on every trim. 16-inch aluminum alloy wheels come standard on the SL, but if it’s a more aggressive exterior you’re looking for, you would do well to check out the SE-R performance model. Starting at $16,060 for the S, the Sentra’s price rises steadily to the $20,620 SE-R Spec V, making it almost exactly in the middle of a host of competitive compact sedans. The Honda Civic ($15,805), Chevrolet Cruze ($16,720), Hyundai Elantra ($16,445), Ford Focus ($16,500), Toyota Corolla ($15,900), and Mazda3 ($15,200) are all worthy adversaries, and many receive better fuel economy to boot. We like the direction the Sentra is moving toward, one where it takes on the feel of a smaller Altima rather than a dedicated economy car. Ok, so the styling isn’t for everyone, but once inside it’s hard to argue against its civilized demeanor, and it drives remarkably well with the CVT.